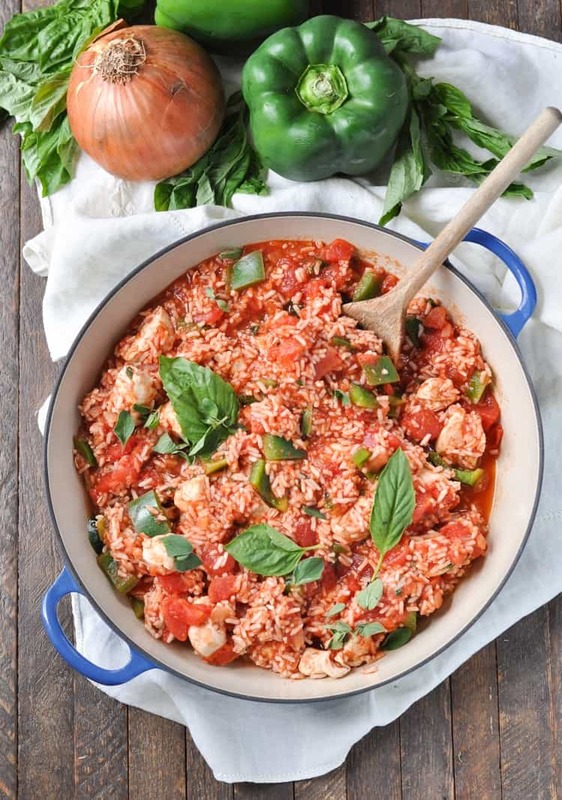 The chicken, rice, and veggies all cook together in one-skillet, making Aunt Bee's 20-Minute Chicken Cacciatore with Rice an easy dinner that's perfect for busy weeknights! 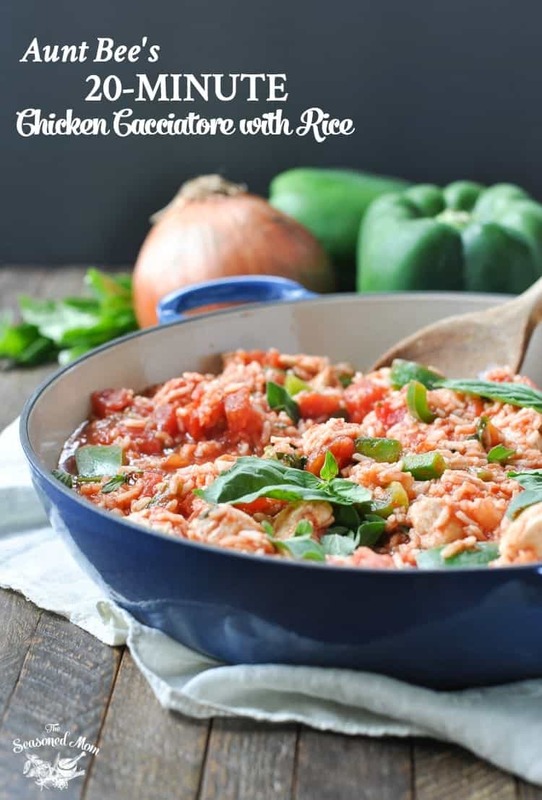 The chicken, rice, and veggies all cook together in one-skillet, making Aunt Bee’s 20-Minute Chicken Cacciatore with Rice an easy dinner that’s perfect for busy weeknights! You guys, I just got off of the phone with Aunt Bee because I was calling to wish her a happy birthday. Do you know how old she turned (don’t worry — she won’t mind me advertising this!)? She just turned 97!!! She might be getting older, but with that age comes wisdom (and humor) beyond anything that I could hope for in my own lifetime. When she picked up the phone, the first thing that Aunt Bee said was, “Oh, Darling! I’m so old it’s OBSCENE.” I assured her that her age is impressive, and what’s even more impressive is the fact that at 97, she’s still sending me emails and handwritten notes multiple times per week! She’s sharp as a tack and you can’t slow this lady down. 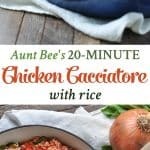 Today’s 20-Minute Chicken Cacciatore is a dish that Aunt Bee recently included in a letter. 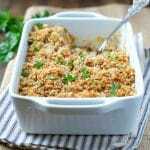 She had come across it when going through one of her old recipe files for me, and she knew that it would be the perfect dinner for my family. 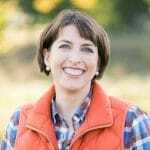 I prepared Aunt Bee’s Chicken Cacciatore the very next week, and I can assure you that it is the perfect combination of healthy, quick, and easy comfort food! 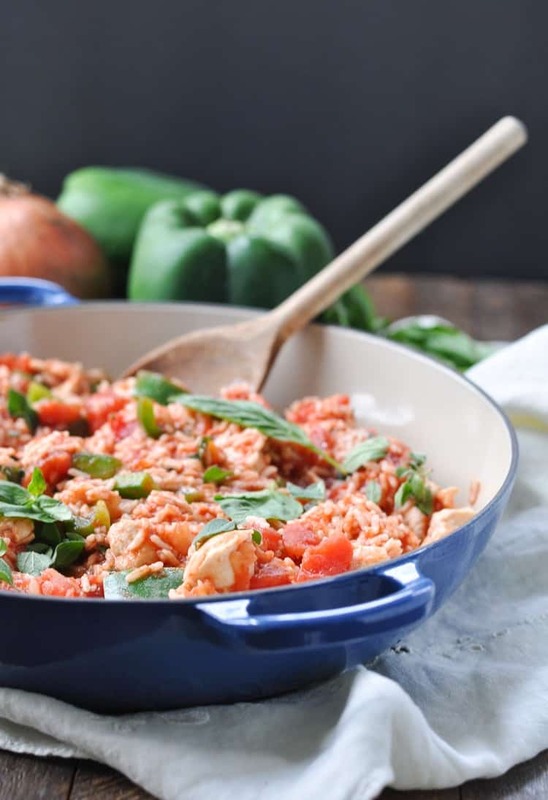 The rice, chicken, and veggies all cook together in one large skillet for a simple and wholesome meal that the entire family will adore. 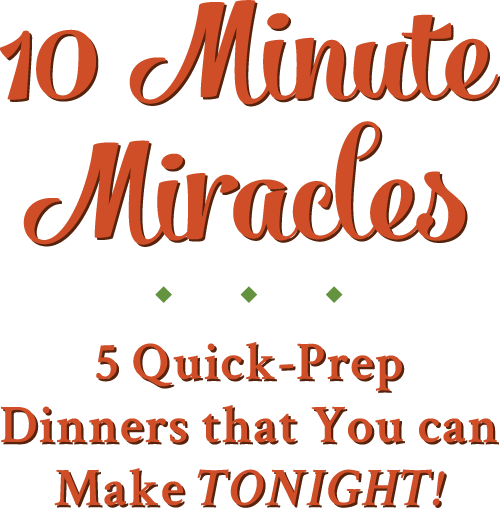 Thanks to the time-tested successes of my “fairy godmother,” weeknight dinners are faster and tastier than ever around here! Cooking Just for Two? Cut all of the ingredients in half and prepare according to the instructions above. It will work perfectly with just 1/2 lb. of chicken and a single (15 ounce) can of diced tomatoes. Want to Prep Ahead? 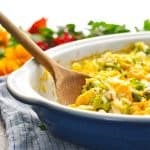 This only requires about 5 minutes of prep work, but if you want to eliminate that extra time entirely, you can cut up the chicken in advance and keep it stored in your refrigerator. You can also cut up the onion, garlic, and bell peppers and keep them ready to go in your refrigerator until you’re ready to start cooking. Heat oil in a large skillet over medium-high heat. Add chicken, onion, and garlic to the skillet. Cook chicken until browned (about 5 minutes). Stir in bell pepper, tomatoes, tomato sauce, salt, basil, and oregano. Bring to a boil. Stir in rice, cover, and remove from heat. Allow the skillet to sit, covered, for 5 minutes (or until rice is tender). Want to Prep Ahead? This only requires about 5 minutes of prep work, but if you want to eliminate that extra time entirely, you can cut up the chicken in advance and keep it stored in your refrigerator. You can also cut up the onion, garlic, and bell peppers and keep them ready to go in your refrigerator until you're ready to start cooking. I love easy skillet meals like this! Comfort food at its finest. 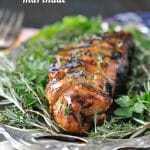 Such a perfect dish for the summer. 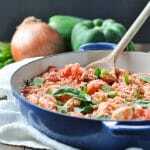 Chicken cacciatore is a favorite of my husband’s, so I will have to make this soon! Thank you, Gayle! Yep, it’s definitely a perfect summer recipe — one skillet, fresh bell peppers, and fresh herbs! YUM! What a comforting meal, I love the addition of the rice! 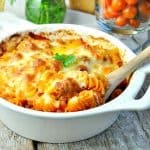 I came across this recipe today and am making it today!!! All I have is boneless thighs and I have Success Rice, which is cooked in the bag for 10 minutes. I thought I would simmer it for 5 minutes, drain, and put into the chicken and tomatoes. What do you think? I’m not a great one in the kitchen, but I am now semi retired and am trying to experiment 🙂 Do you think this way will work? Hi, Linda! The chicken thighs should work well — just dice them the same way that you would the chicken breasts.